Flour, Sugar, Coffee, Tea and Grease? 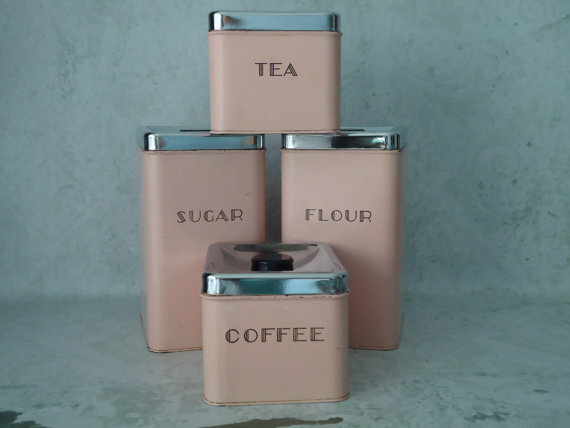 Growing up my grandmother and my mother both had kitchen canisters, you know that set of 4 that had written on the Flour, Sugar, Tea and Coffee? Like this one: My friend Michael and I helped our friend Jane do some heavy lifting and decorating at her Breezy Point beach house this past Sunday. 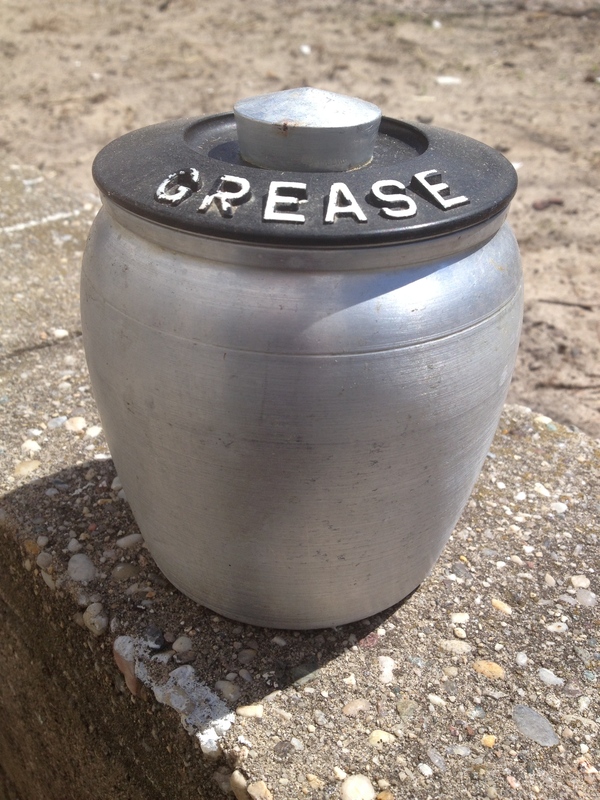 Not only did Jane have this strange oddity the grease canister, she had a veritable collection of them! On the next trip to the basement I saw another one: When I opened this one up it had a strainer in it so you bacon bits and what not could be easily removed. Elaborate 😉 It makes me wonder if this is a regional thing? I went to flea markets, stores other people’s homes and I don’t recall ever seeing this growing up in Canada. I want to say it’s a midwestern or southern American thing because they eat so much bacon, but that makes no sense because Canadians also eat a lot of Bacon. 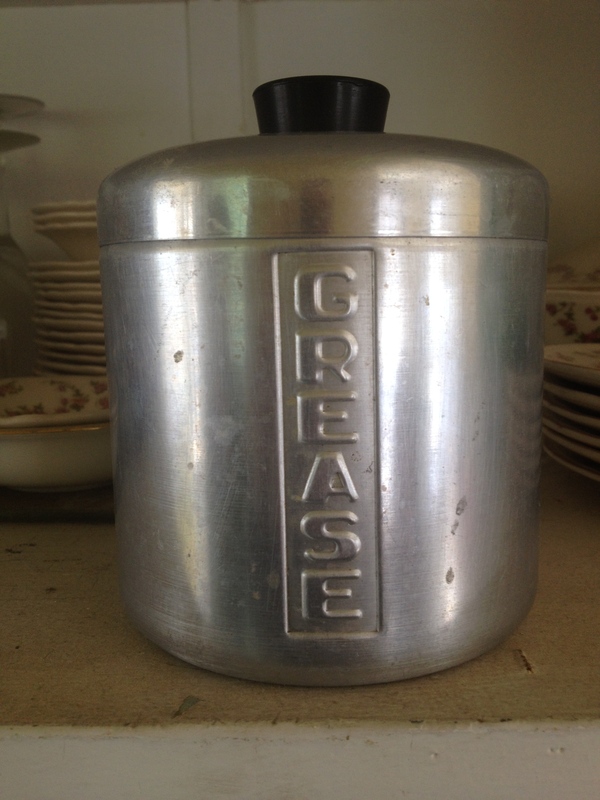 Did you grow up with canisters like this and did your family have a coffee/tea or grease set? Enquiring minds need to know! 8 Responses to Flour, Sugar, Coffee, Tea and Grease? In my neck of the woods (NC), beside every stove sat the holy trinity—salt, pepper, grease. But saving cooking fats isn’t particularly a Southern or Midwestern thing. It was something a frugal people did (and do). Saving bacon and pork renderings came to the US from English and German settlers. And as with many English food influences, it became a Southern tradition. The habit kind of faded away with (false) health warnings during my parent’s generation, but that’s being debunked. I’ve always kept a little crock by my stove for bacon and sausage renderings. That’s what one uses to make a proper fried egg! I also save or outright render schmaltz when I cook chicken. I imagine those grease pots were put to use for that precious commodity as well. Me again. I just found this grease cartoon. Love Goofy’s dextrous ears. OMG that is amazing thanks for this I’m going to repost! I grew up with a set exactly like the one with GREASE on the black lid. I was raised outside Seattle, but I think the canisters were wedding gifts to my parents, who got married in 1956 near Billings, Montana. Everything we cooked started with a flick of bacon grease into the cast iron skillet. 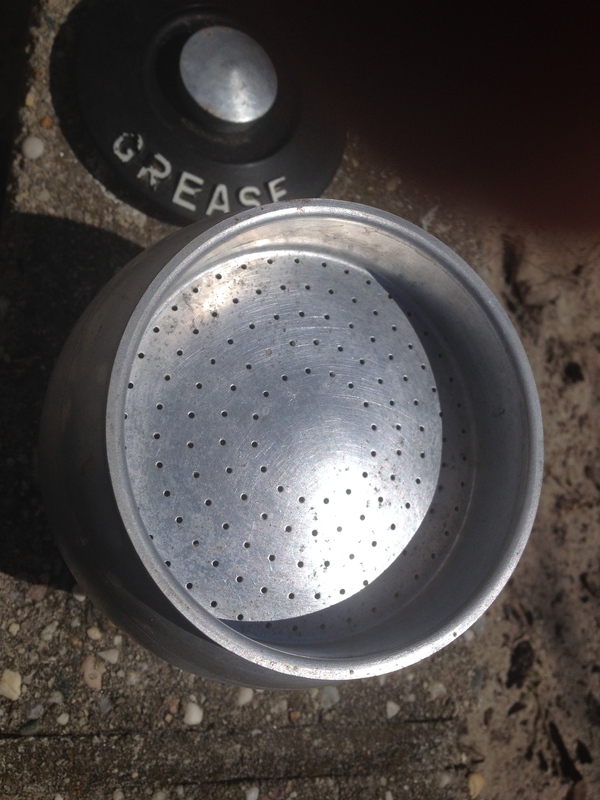 I grew up with a set of the canisters exactly like the one you posted with the black lid and GREASE on the lid. I was raised in Seattle, but my parents came from Eastern Montana and the canisters were a wedding gift. As you said, Flour, Sugar, Coffee, Tea, and Grease. Everything we cooked started with a flick of bacon grease into the cast iron skillet.